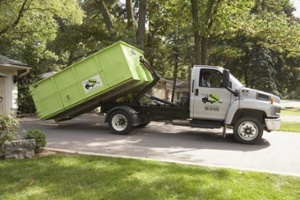 Discover how we make renting a dumpster in Freehold, NJ a simple and easy process. Bin There Dump That is committed to making the dumpster rental process for the customer a seamless transaction, from placing an order for the needed dumpster size to delivery of the waste container in Freehold to an immediate pick up when you no longer need the bin on your driveway. Freehold is a growing community in Monmouth County New Jersey. Now home to more than 36,000 inhabitants, it traces its roots back to 1693. The township was incorporated in 1798 and has continued to be a great place to raise a family ever since. There are several great parks in Freehold. It’s home to Monmouth Battlefield State Park, Turkety Swamp Park and Michael J Tighe Park as well as many other smaller parks. Monmouth was the site of a major battle during the Revolutionary War and the park presents an opportunity to explore the history of that epic day in the story of America. Another great claim to fame for Freehold is that it’s the town that Bruce Springsteen was singing about in the Song My Home Town. It’s the place where he grew up and the foundation of many of the great lyrics he’s written over the years. A truly great experience is a walk down Main Street. The street is lined with historically significant buildings. Some landmarks include The American Hotel built in the early 19 th century and St. Peter’s Episcopal Church built way back in the 17 th century. In addition to all of the great history in the town of Freehold, there are many modern buildings and shopping destinations. It’s also the home of Freehold Raceway – the oldest harness racing track in America. The first race was held at the track in 1853 and has continued to host some great races to this day. Freehold is a great mix of the past and modern life. Your local Dumpster Rental Experts Freehold dumpster rental operators are Danny & Karen Aller.